In 2012 Goshka Macuga visited Afghanistan twice to research her project for dOCUMENTA(13) opening that same year. During her stay she visited the Afghan Film Archive in Kabul and learnt about their precarious and endangered operation during the Taliban era. The threats to the archive are due to a constant lack of resources needed to digitize stocks of newsreels, feature and documentary films, and funding to maintain equipment and the premises. Macuga became interested in supporting the archive and decided to buy small strips of film that have been thrown away through the process of digitization. 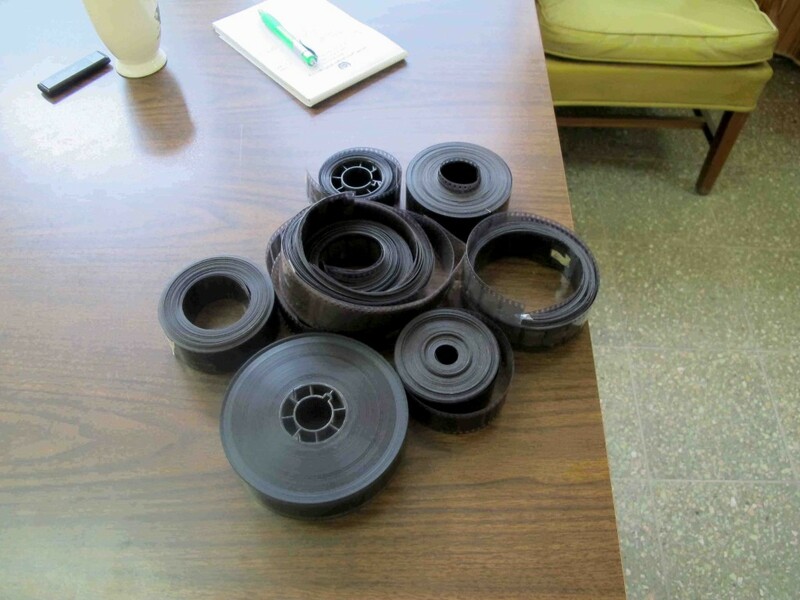 Following extensive email correspondence with an Afghan mediator, she was sent a parcel of 35mm cut-offs. Surprisingly, the material turned out to be 19 separate film rolls containing only censored, sexually explicit scenes from foreign and Afghan films. For her newly commissioned works presented at Index in co-production with BAC, the artist proposed to re-edit and re-contextualize these censored footages. In re-ordering the material Macuga presents a new comparative reading to the differing perception, norms, conditioning to and permitted exposure of physical intimacy, violence and gender discrimination in Afghan and Western cultures. The display defines a dialogue with the archival material that in Non-Consensual Act (in progress) takes the form of a film, prints and documents. Included in the exhibition are excerpts of correspondence uncovering the obstacles, contradictions and opportunities that arose in approaching the material under scrutiny. Macuga’s practice connects different areas and methods of research. Her inquiries are often focused on institutional histories proposing unconventional associative readings of their social and political histories. Her strategic orchestration of existing materials, collectables and archival documents support the reframing of established narratives. This is not the first time Macuga has worked with materials that have been removed from their source. Her series Untitled (2008) used photographs belonging to a Vietnam War veteran as part of the installation I Become Death, as well as the documentary film Snake Society in collaboration with the anthropologist Julian Gastelo, both shown at Kunsthalle Basel in 2009. In these works she selected images that resonated with her ongoing research on Aby Warburg’s study of the rituals and iconography of Hopi American Indian art. Born in Poland in 1967, Goshka Macuga lives and works in London since 1989. She has exhibited extensively internationally in solo exhibitions at the Museum of Contemporary Art Chicago (2012), Walker Art Center, Minneapolis (2011), Zacheta National Gallery of Art, Warsaw (2011), Whitechapel Gallery, London (2010), Kunsthalle Basel (2009), and Tate Britain, London (2007). Macuga’s work was also included in dOCUMENTA (13) (2012), the 53rd Venice Biennial (2009), the 5th Berlin Biennial (2008) and the Liverpool Biennial (2006). In 2008 she was nominated for the prestigious Turner Prize contemporary art award. Non-Consensual Act (in progress) was co-produced by Index – The Swedish Contemporary Art Foundation and BAC – Baltic Art Center, Visby. The exhibition is kindly supported by the Polish Institute Stockholm, Andrew Kreps Gallery and The Swedish Arts Grants Committee.